In this day and age in which I get almost all my magazine subscriptions and books on my iPad, it's still somehow thrilling when a magazine arrives by snail mail. My very favorite magazine, a music-related one called Magnet, arrived the other day and I was reading the letters-to-the-editor section when ... lo and behold ... halfway through reading one letter, I glanced down at the name of the writer and it was ... me! I had completely forgotten even writing the letter. This is the second time since Magnet recently rebooted as a monthly (rather than six times a year) that a letter of mine has been published. I was making the case for Evan Dando of The Lemonheads to get a little more love for his brilliant pop art, despite a semi-incoherent recent interview he granted to Magnet. 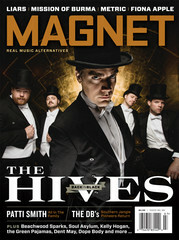 Here's my letter, and thanks for printing it, Magnet! I'm not sure Neil Ferguson's piece on Evan Dando is totally fair, although I like his quote from Ben Lee about how the Lemonheads' leader's voice is beautiful honey reminiscent of Frank Sinatra. Dando is no doubt quirky and eccentric, but that is simply part of the many allures of the man and his vastly underrated musical legacy. I've hung out with Dando several times after shows and he is a total sweetheart. 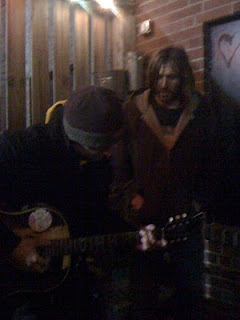 He even let me play his acoustic guitar after a show last year in Arlington, Virginia. It's refreshing to see a rock star act curmudgeonly and "real" around a fine journalist instead of spouting athlete-like cliches.